Join this fantastic tour, and you can combine some of the most amazing things Iceland has to offer: the Golden Circle in a Super Jeep, snowmobiling and an ice cave. This tour is perfect for those who would like to spice up their sightseeing with action-packed adventure. 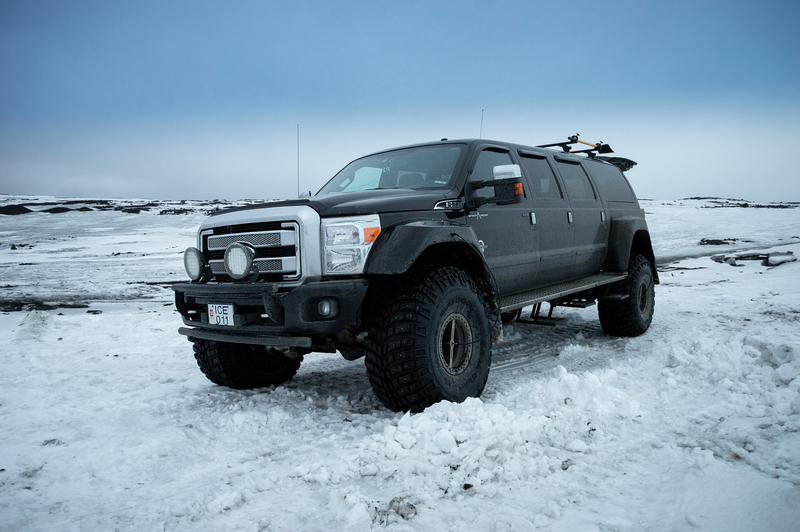 You will explore the famous Golden circle route in style, in a specially modified super truck on huge tires. You will be the envy of the road! 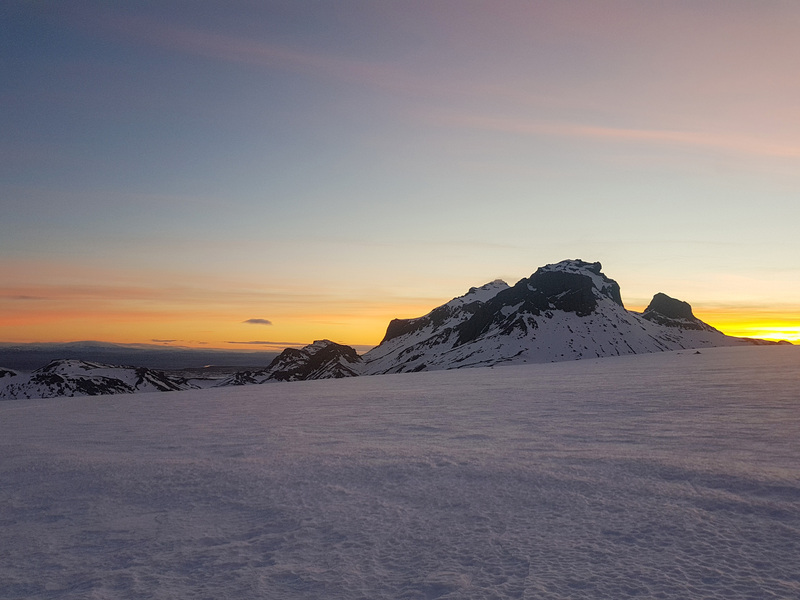 The day starts with a drive directly to Langjökull glacier, where you will gear up for a thrilling snowmobile tour across the vast, white expanse. The snowmobile tour will lead you to the newly-discovered natural ice cave, at the glacier‘s edge. There are footpaths and bridges in the cave but tread carefully because the ground is slippery. 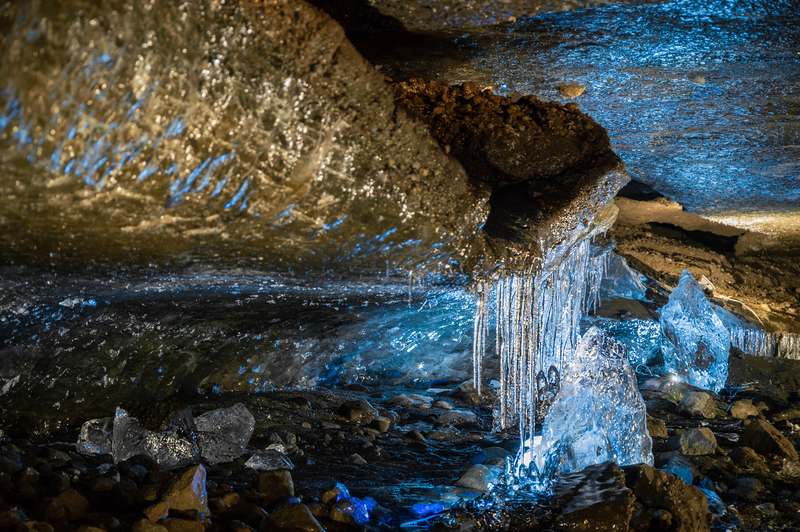 Inside the cave, you will witness the tremendous array of colours a glacier has to offer; it is truly more than just white as far as the eye can see. After the cave, it is time to do a little more snowmobiling, before climbing aboard the super truck again and heading back to civilisation. 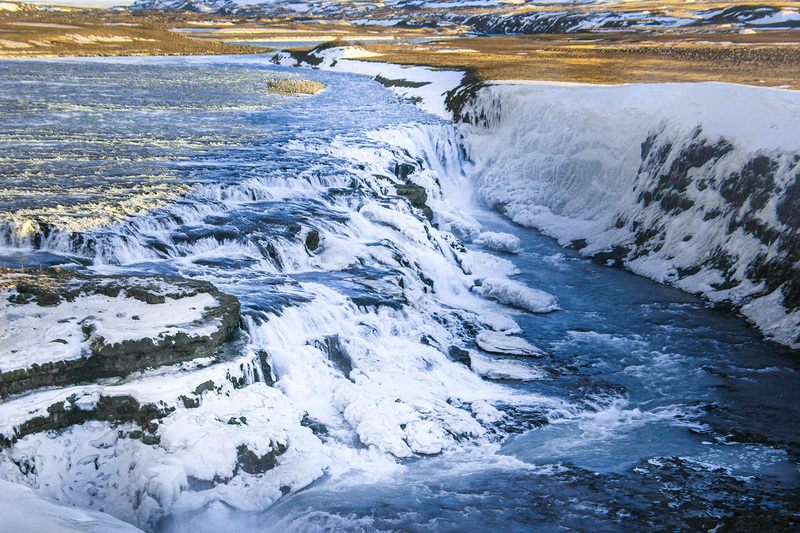 The next stop is the waterfall Gullfoss, a magnificent display of aquatic power. Here you will also have the opportunity to have lunch at the canteen– the traditional Icelandic meat soup is highly recommended. After Gullfoss, it is time to head to Geysir geothermal area. 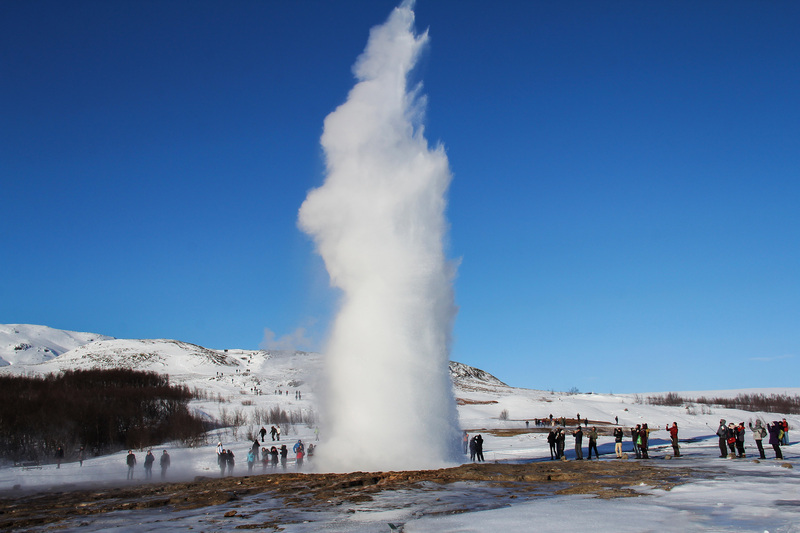 Here you will witness the powerful hot spring Strokkur spout boiling water high into the air, every 10-minutes or so. It is truly magical to see, and the colourful landscape in the area adds a certain je ne sais quoi to it all. After all of this, it is time to head back to Reykjavik. 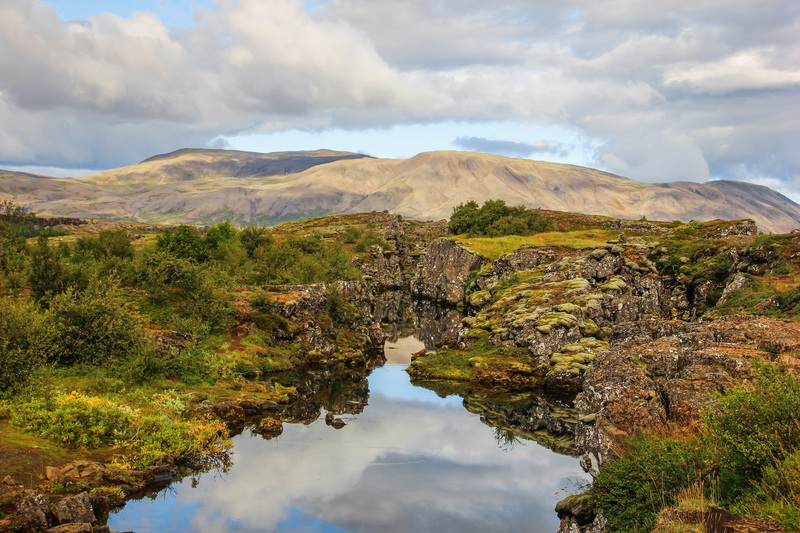 If there is still time, and enough daylight to enjoy it properly, there will be a short stop at Þingvellir national park at the end of the day. This is an area of rich history for the locals, as the world‘s oldest continuously run parliament–Althingi –was founded there hundreds of years ago. It is also an area of geological wonders, as you can clearly see the rift valley where the earth is moving apart a few centimetres each year. Book now for a day to remember! Explore the Golden Circle in a small intimate group on a tour packed with activities. Check availability by choosing a date. Please make sure to dress warmly, as this is a glacier tour. Good and sturdy hiking shoes are the best footwear. You must be at least 17 years old and hold a fully valid driving license to drive a snowmobile - preliminary and learners' permits are not enough. Passenger age limit is 6 years. 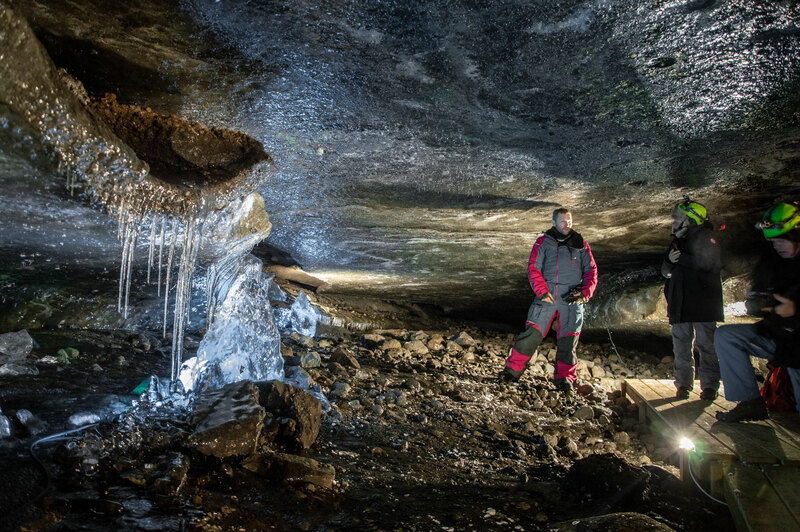 We operate the snowmobile tour to the cave in collaboration with Mountaineers of Iceland, and there may be a larger group on that part of the tour with you.